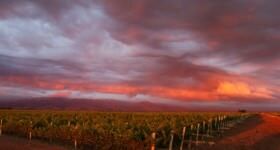 Since the year 2000, a classical music festival has taken place on the Mendoza Wine Route during each Easter week. Ten years later, the festival has become one of the area’s most popular musical events, performed in natural settings and at churches and wineries. Each year surpasses the previous one in terms of the quality of the show and importance of the artists. Two years ago, a new festival was organized with great success. 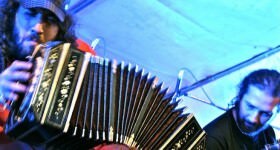 The Tango Festival on the Mendoza Wine Route, or ‘Tango por los Caminos del Vino’, takes place every September (the beginning of spring in the southern hemisphere) and showcases the passion of tango music and dance among the unique scenery of Mendoza’s landscape. 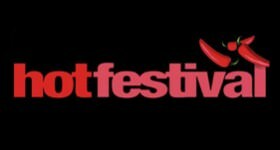 Both festivals are organised by the Secretaría de Cultura (Culture Secretary), the Secretaría de Turismo (Tourism Secretary) and Bodegas de Argentina (a non-profit organization of which most Argentine wineries are members). 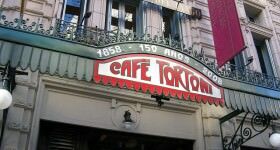 Both events also benefit charities: this year’s goal is to collect powdered milk for the Fundación Banco de Alimentos (Food Bank Foundation). The entrance fee for each show is not payable in cash but is exchanged for a box of powdered milk at the Secretaría de Turismo, Municipalities, and tourist information points. The 2009 festivals collected 500kg of powdered milk feed more than 15,000 children in the province of Mendoza. 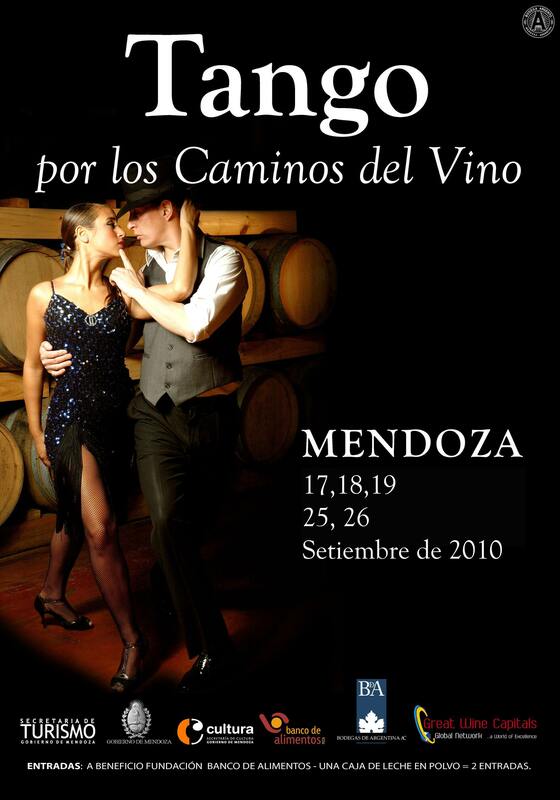 The 2012 Tango Festival on the Mendoza Wine Route is taking place on September 14-16 and 21-23. 11:00am Bodega Diamandes- Clos de los Siete (Clodomiro Silva s/n, Vista Flores, Tunuyán). Varón Álvarez. 7:00pm Bodega Familia Di Tommaso (Carril Urquiza 8136, Russell, Maipú). Homenaje de las chicas del tango. 7:00pm Bodega Casarena (Bransen 505, Perdriel, Luján de Cuyo). Quinteto Bando. 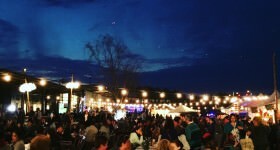 8:00pm Museo Nacional del Vino y la Vendimia (Ozamis 914, Maipú). Anselmi Trío. 9:00pm Bodega Fanteli (Retamos s/n, Valle Central, Santa Rosa). Corazones ambulantes. 11:00am Bodega Casa La Primavera (Calle La Primavera s/n, Rivadavia). Sebastián Rodríguez Fossi. 12:00pm Bodega O´Fournier (Calle Los Indios s/n, La consulta, San Carlos). 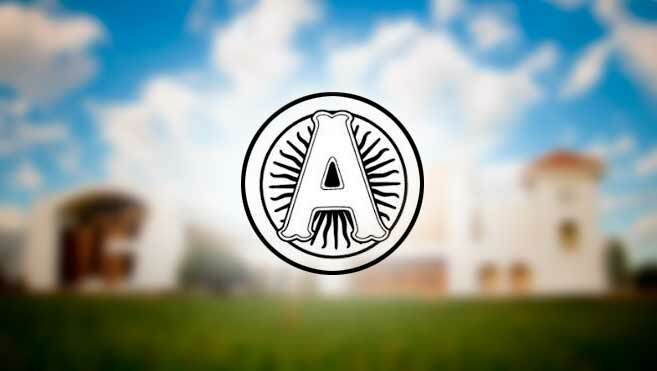 Trío Escolazo. 7:00pm La Enoteca (Calle Peltier 611, Ciudad). Fadangos. 4:00pm Explanada km 0 Uspallata (Las Heras). Dos Cachos de Tango. 7:00pm Bodega Martínez Guio (Ruta Nacional 188, km 799, Gral. Alvear). Dos Golpes Bajos Trío. 9:30pm Teatro independencia (Chile y Espejo, Ciudad). Tangastor. Gala de Clausura “Homenaje a Astor Piazzolla”. Simply awesome…I will share this with all my friends so that they also can know about this WP plugins. Thanks a lot for this list. keep it up.